We offer a wide variety of top quality services to fit your needs. 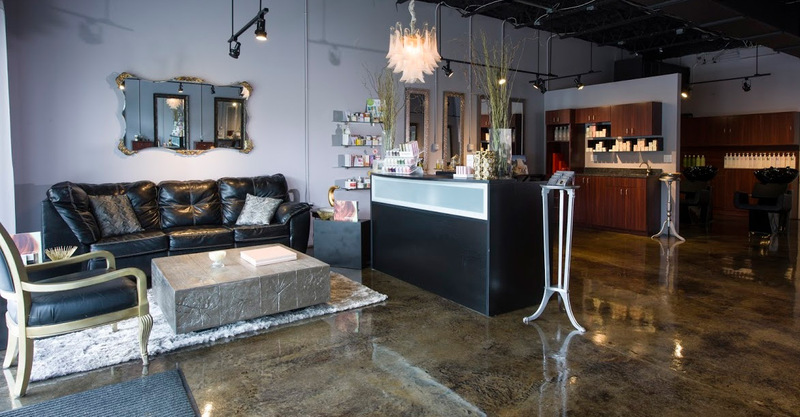 Our experienced staff will help you determine the best services for your needs and deliver the kind of quality and value you expect from a professional salon and spa. Check out our complete service menu below to get a feel for what we do. All pricing al a carte. Prices may vary for long or damaged hair. Please note: Service prices and availability are subject to change without notice. Stylists begin this service with a detailed consultation. Guests are then taken to the shampoo area to enjoy a relaxing shampoo and conditioning service followed by a blow dry and fabulous style! Stylists begin this service with a detailed consultation. Guests are then taken to the shampoo area to enjoy a relaxing shampoo and conditioning service followed by a blow dry and style! Shampoo, conditioning, blow dry and style. This is a service of 3 hours or more. Suited for guests who are looking to completely change their look. Color is applied in foils from temple areas to crown of head. Great for adding dimension and color. Designed for those looking for solid color throughout the hair. A treatment that turns unruly hair into frizz free,manageable, beautiful looking hair. This treatment last 4-6 weeks. A treatment that turns unruly hair into frizz free, manageable, beautiful looking hair. This treatment last 4-6 months. A chemical treatment that can be used to add body or curl to your hair. Looking for a way to add volume, color or length to your hair? Great Lengths hair extensions are made from 100% human hair of the highest quality and can help you achieve your desired look. Our master stylists will consult with you regarding color choices, length, style, and thickness to create a look you will fall in love with. From a classic updo to beautifully flowing curls our experienced stylists will make sure you look absolutely breathtaking on your special day. Fully sculpted acrylic nails made to look like your natural nails, no tips, no glue! Fills for acrylic nails - includes up to 2 repairs if needed. Both the pink and the white of the nails are filled in, resulting in a natural French manicure look. This includes cuticle removal, filing, shaping and buffing of the nails, hand massage, nail strengthener and polish of choice. A step up from the basic manicure this service includes a an exfoliation treatment, hydrating masque, massage, and hot towel treatment. Shellac is an amazing gel polish that lasts for 2 weeks! This pedicure is very relaxing and perfect if you are short on time. It includes trimming and shaping of the toenails, cuticle restoration, massage, and polish of your choice. Perfect luxury for your feet. Includes a relaxing soak, trimming and shaping of the toenails, callus removal, cuticle restoration, exfoliation of the heels and lower leg, soothing leg and foot massage, hot towel treatment and topped of with a polish of your choice. In addition to the Basic Pedicure you will enjoy a hydrating masque treatment and additional massage time on your feet and lower legs. Repair of broken acrylic nail. Change polish to color of your choice. Pink or natural polish with white tips. The introduction of specialized pigments, especially produced for derma pigmentation into the dermis or deeper layer of the skin by means of one or more needles. Our professional makeup artist is mastered in the Hair Stroke Method creating a natural look. Policy: Please call (941)378-1300 or email chellesalonspa@gmail.com for our appointment policies.